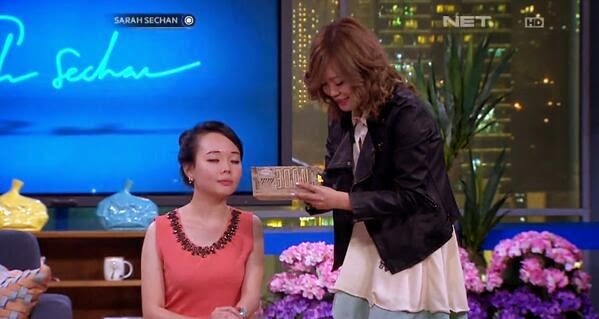 I know some of you new readers know me from Sarah Sechan NET TV yesterday! For these new people, WELCOME TO MY BLOG!! Hope you will enjoy my blog as well, because I often put on tips and tutorials and review here! I really like the clothes as it screams Kawaii, and Feminine! 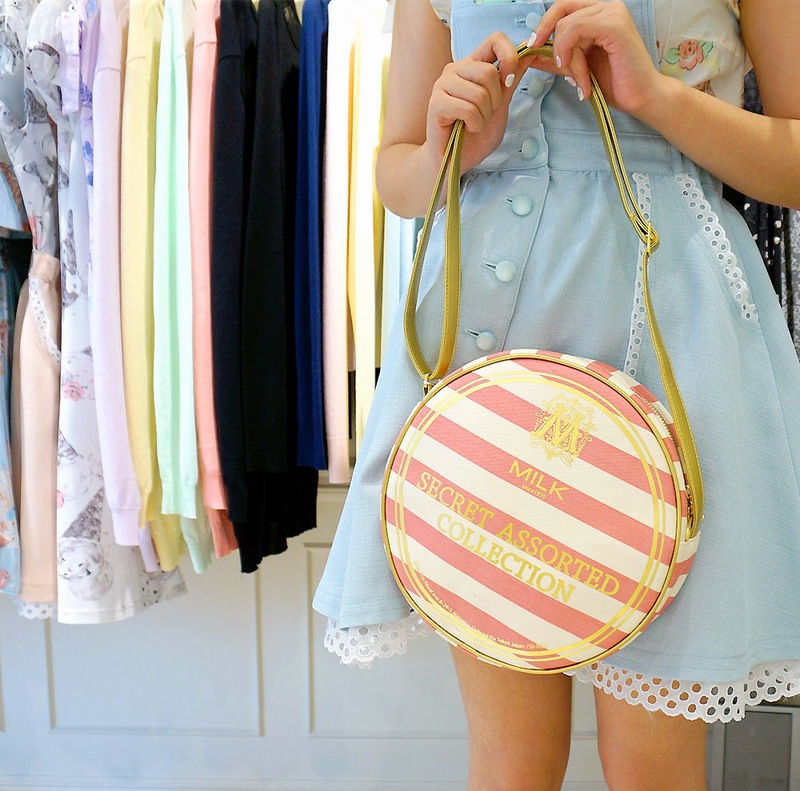 I hardly have blue clothes because I think it's not my colour, but combining this blue outerwear with lemonade shirt with sweets pattern and pink bag & shoes can never be this cute! I wish my hair would grow longer faster! At the moment, I will focus on my thesis first! Yout outfit is absolutely amazing from head to toe! I didn't know this brand, but I will certainly look for it *O* Thanks for showing. Wow you were on a tv show!? That's wonderful what a great opportunity. I think you look really sweet. I like the pretty details of the blue dress, I like the lacing around the edges and I like the buttons and pockets. I didn't know you didn't wear much blue. I think blue suits you. watashi no namae wa Emmy desu.. I love japan too :* hai!! I love your style. I'm a new reader of your blog and your blog is amazing. I love it :) Nice to know you. My name is Adel. I hope you reply my cmmnt. Your outfit is very beautiful! girls are always like that huh? when hair is long, we say "i think shorter is fresh-er"
and then when it turn short "PLEASE HAIR GROW FASTHERRRHHH !!" I AM DYING OF CUTENESS OVERLOAD!! I am in love with your outfit (and with your entire blog). You are totally cute. Ahhh Stella you look insanely adorable :D That hairstyle fits you so well!